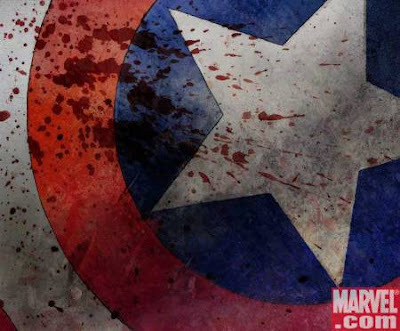 Home » comics , fiction , marvel universe » What the... CIVIL WAR is over and WHO won?! What the... CIVIL WAR is over and WHO won?! In case you haven't heard, in Civil War #7 the whole thing about superhero registration - which Tony Stark aka Iron Man has led the charge for and which Captain America has led a resistance movement against - comes to a violent crescendo. And... Captain America surrenders! The Superhero Registration Act is now fully enforced. Cap is taken away in shackles and Stark is now the head of S.H.I.E.L.D. (if you know Marvel comics you know how big a deal this is). What's more, each of the fifty states is set to get its own team of superheroes as part of "the Initiative". If Marvel doesn't "pansy out" and opts to play for keeps with this, it might be the most invigorating thing they have done to their comics line since... well, in a gosh-awful long time that's for sure! What I mean by that is, Iron Man better not decide that superhero registration was a bad thing after all and have Doctor Strange mystically mind-wipe the whole Earth from remembering it ever happened. If Marvel decides to abide by what they've inflicted on their universe and not to play it safe, then I might forgive them for resurrecting Mar-Vell. I might even forgive them for the legendarily horrible "Clone Saga", too.